Millcreek has attached these 8 pictures to aid in identification. The message is below. Posts: 318 All of these were found in the Russian River. 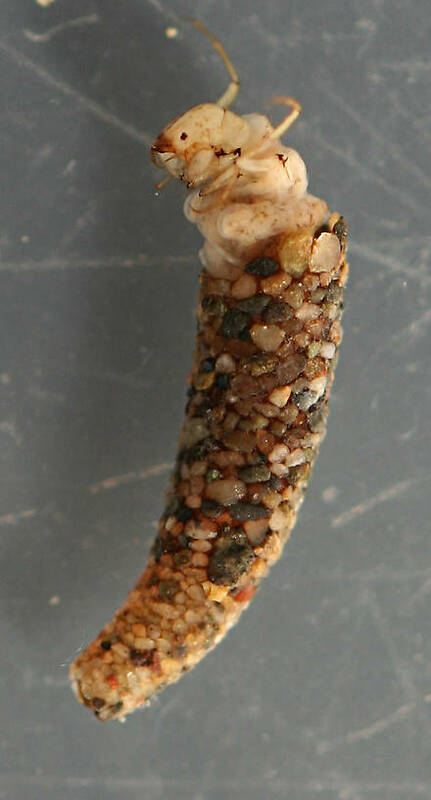 The larvae were found on gravel in a moderate current and the pupae were found in a fast current attached to cobbles. The pupae are often in aggregations on the cobble and attached by the front and back of the case. The shell is sealed with plugs at both ends. The larvae was identified to genus and the pupae to family using Merritt, Cummins and Berg (2008). 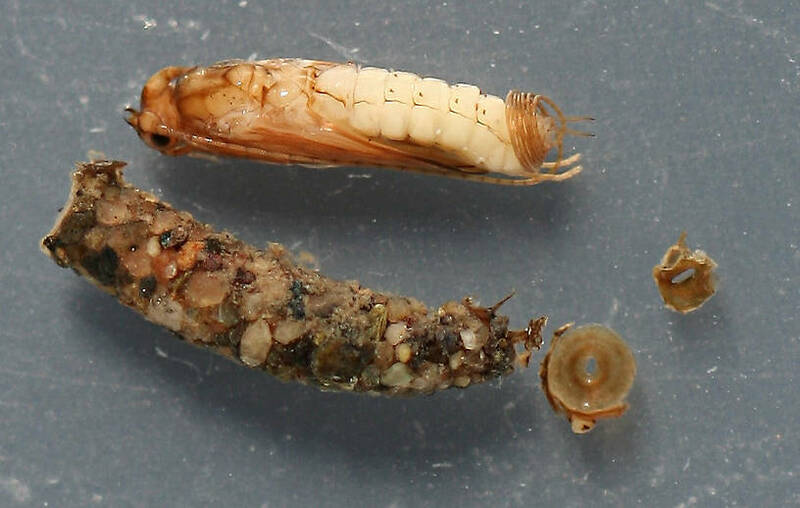 The length of the larvae is 7 mm for the case and 6 mm for the larvae. 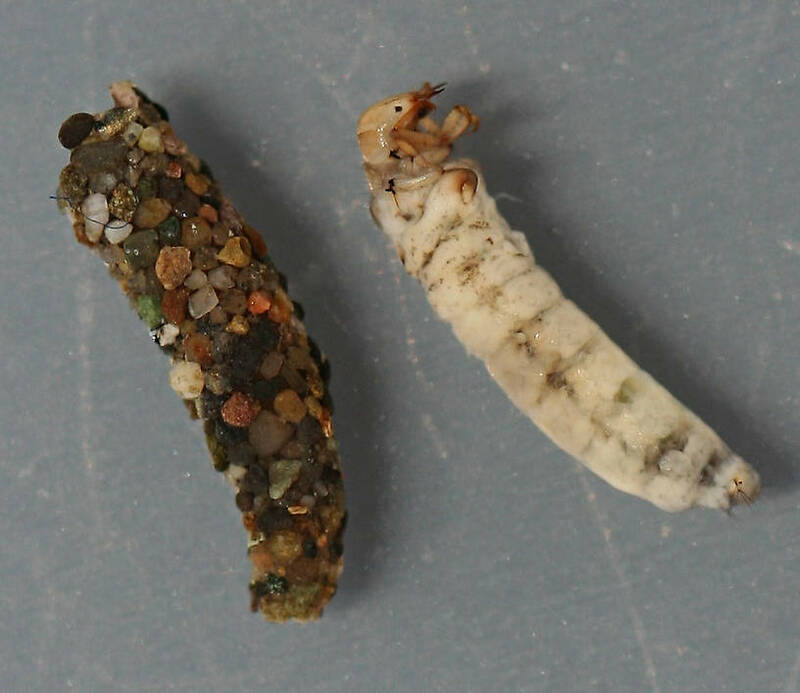 For the pupae it is 8 mm for the case and 7mm for the pupae. All were found between April and July. Posts: 282 From what I can see it looks like there are two patches of hooks on the dorsal spacing hump. If so this is one of the O. avara group. There is a nice publication on the NA larvae (Floyd, M.A. 1995. 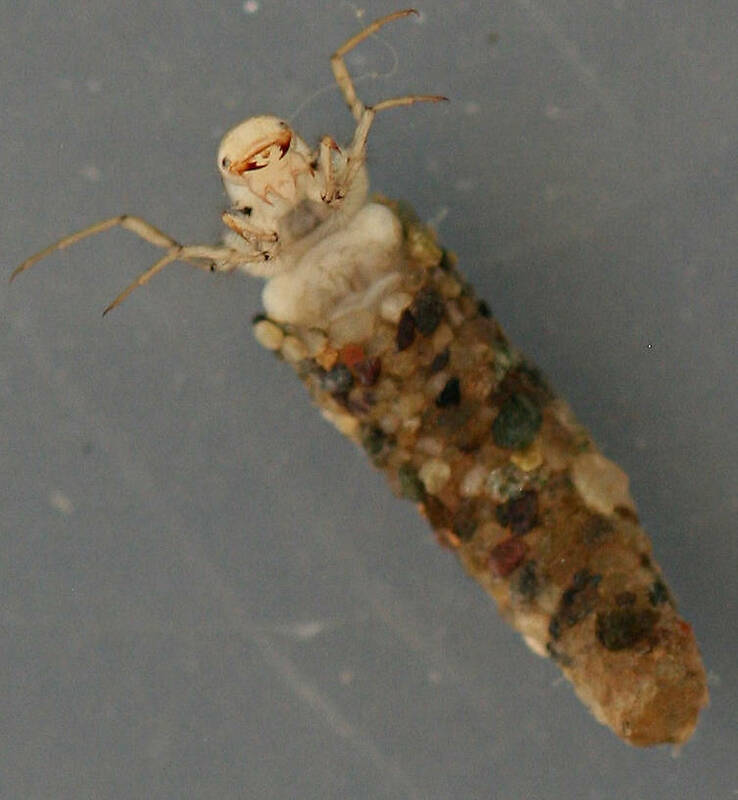 Larvae of the caddisfly genus Oecetis (Trichoptera: Leptoceridae) in North America. Bulletin of the Ohio Biological Survey, New Series 10: 1-85.) that covers status at that time. There is alot of work to do yet in NA on the O. avara group. 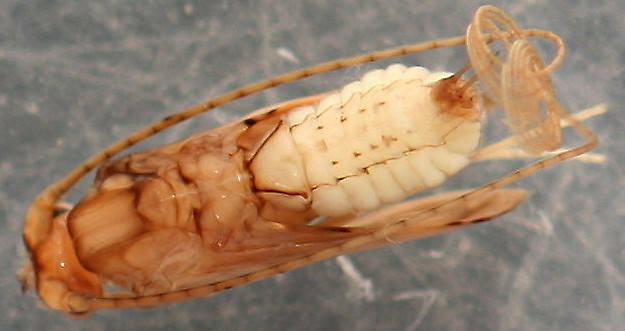 The larval sclerites seem very pale without the typical darker muscle scars. Wasn't quite sure what you meant by the dorsal spacing hump. Put a couple extra photos in. I hope I got the area you were interested in. I'm not sure, either. Are you talking about hook plates, Dave? I know about humps being used by some genera for spacing in their cases. 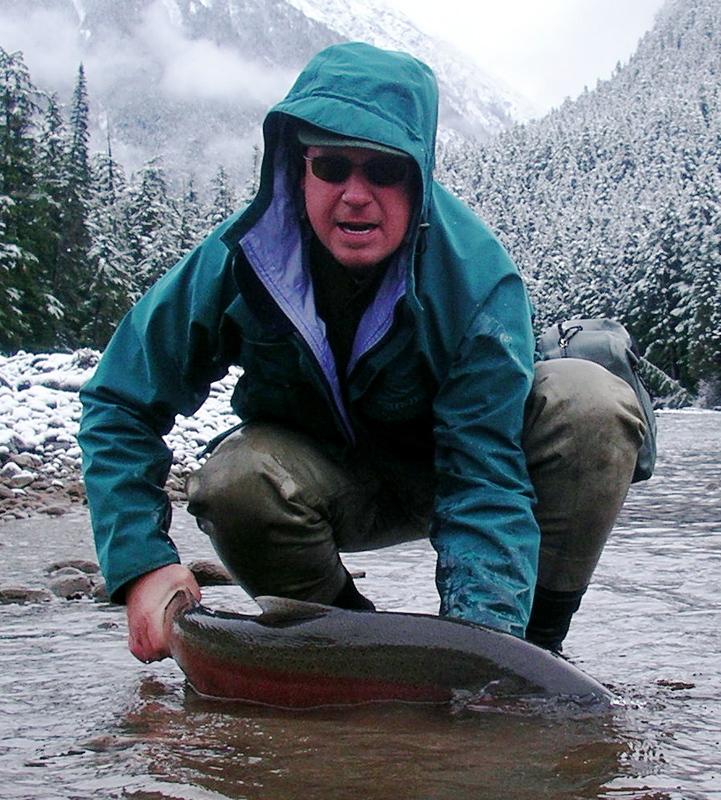 It is believed to allow for better water circulation for their respiratory systems. I didn't know lepidostomids had them. BTW, great photos as usual Mark. 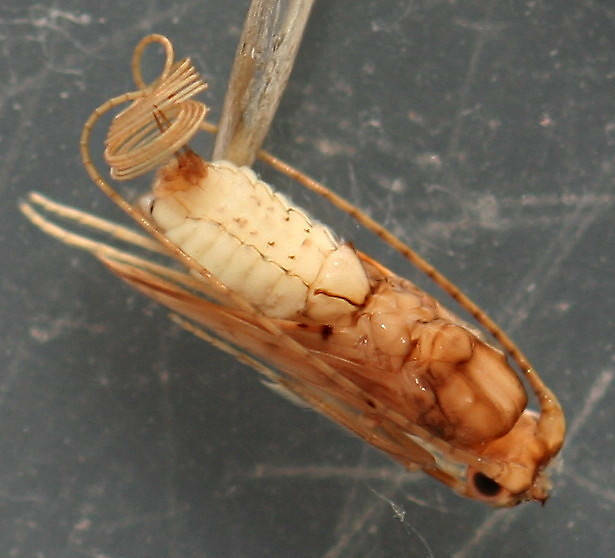 Those coiled antennae in the pupae photos are fascinating! Posts: 2604 Ah! No wonder I was confused. :) I'm sure Dave is talking about the dorsal hump. I understand now. I hadn't heard of using hook plates in larval placement. Just in placing pupae in family. Anyway, I took another look under the microscope and it does have the bottom two as hooked plates but the top two are another structure more closely resembling sclerites. Posts: 282 I don't think they are really hook plates in the context of caddis pupae. The musculature would be completely different. But none the less they work to separate the O.avara group. 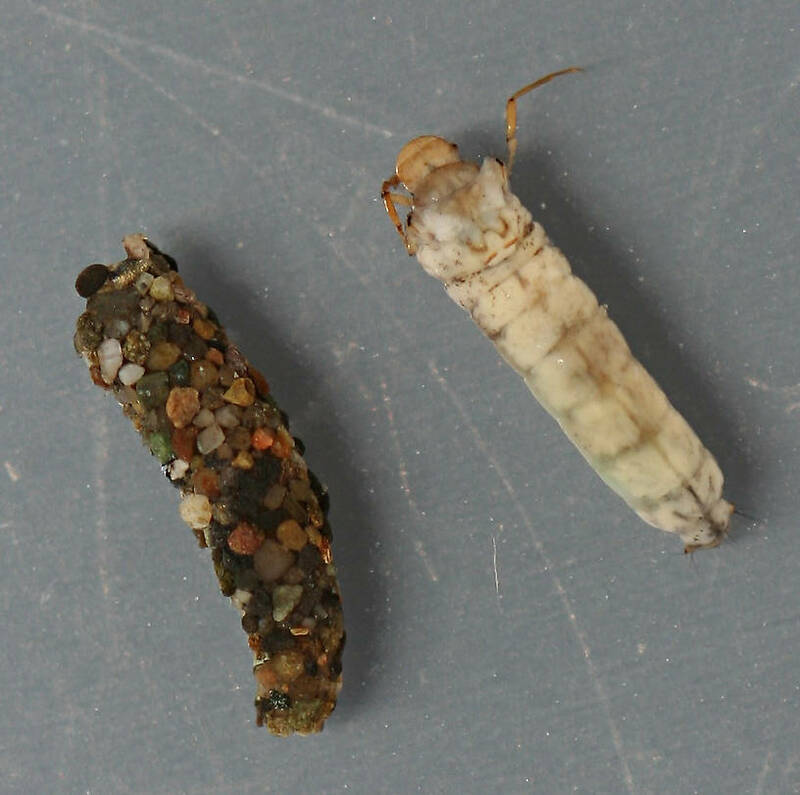 There are lots of various setal patches on caddis larvae that have taxonomic use. 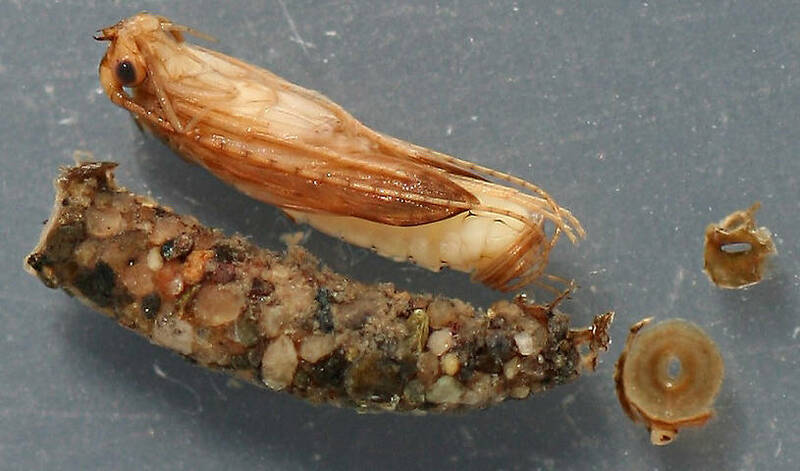 Added some photos of mature Agapetus pupae. Thought you might like to know.